Another year, another fair aimed for Malaysians who are suffering from a serious case of wanderlust. 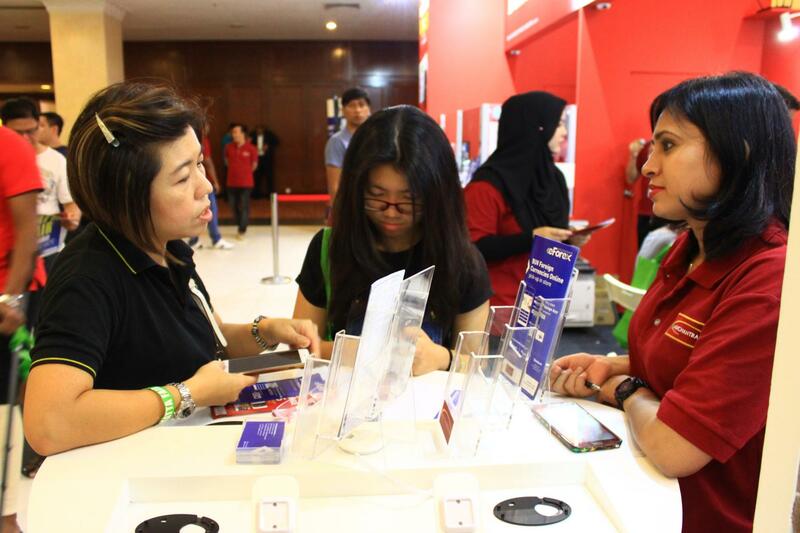 The Malaysian Association of Tour and Travel Agents (MATTA) Fair 2018 opens its doors for visitors from September 7 to September 9. With a tagline of “Buy Smart, Travel Great at MATTA Fair”, you can expect to see a lot of booths with a variety of travel and tour packages to suit your vacation needs. But after perusing through those irresistible discounted airfares and travel packages, visitors should remember another thing that affects their trips—foreign currencies. Thankfully, the fair has already considered that by featuring a particular booth that should be on your “to-check-out” list. Merchantrade Asia is back at the fair for the fourth year in a row to help give visitors an entire trip planning experience through their variety of currency related solutions. Their end goal is to help travellers just focus on having fun on their holidays without needing to burden themselves worrying about fluctuating exchange rates, and they want to help users track their spending. And this year, they’re bringing in a digital fintech solution that could help you BIG time. Anyone who really travels knows the hassle it can be to exchange foreign currencies. Thankfully, we live in a generation where innovation has brought forth digital currency through many Fintech initiatives like e-wallets that could really ease your travelling. Merchantrade Money Visa Prepaid Card is a multi-currency prepaid card that comes with its own app and functions as an e-wallet. The card can store up to 10 currencies (Ringgit, US dollar, Singapore Dollar, British Pound, Australian Dollar, Indonesian Rupee, Euro, Thai Baht, Yen, Saudi Riyal, China Renminbi) currently with more potentially being added soon. In collaboration with Visa, the card can be used to make payments and withdrawals anywhere around the world. Using Merchantrade’s Money can give you quite a value for money as you can lock-in exchange rates at the time of purchasing foreign currencies without it being affected by the fluctuation of foreign currency exchange rates when travelling abroad. 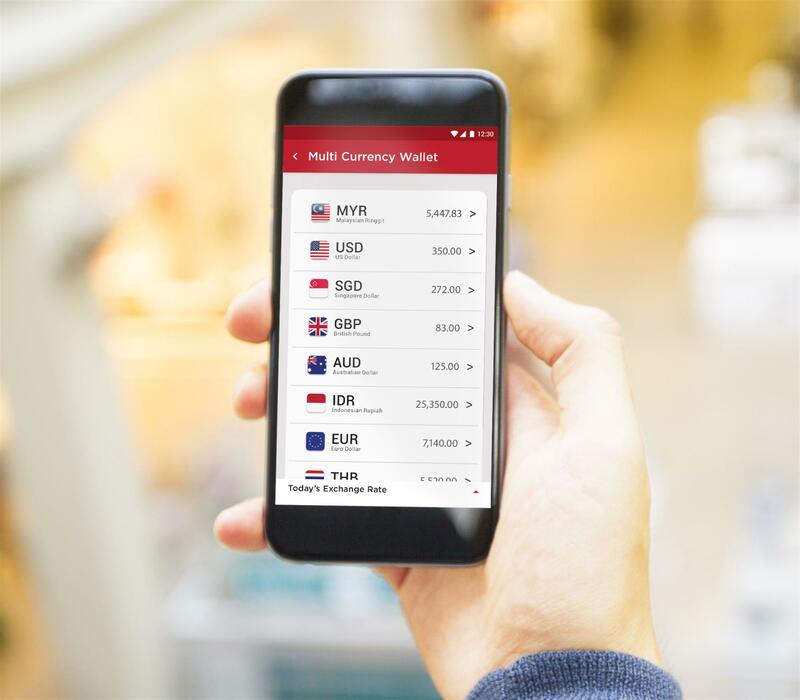 Users can conveniently convert pre-loaded Malaysian ringgit into multiple currencies digitally, at competitive exchange rates. The app can also be used to perform overseas money transfers, free card-to card transfers, track expenditure, top-up and manage your card security features – such as blocking your card in case it gets lost directly from the mobile app. So If you’re thinking of signing up for one, you can choose to register whilst you’re at Merchantrade’s booth during the MATTA Fair because there’s a special 50% cashback promotion on your first transaction if you do (capped at RM100 per customer). They’re also kind enough to help prepare you for the shopping damage you could do with the card by giving a complimentary shopping bag for every successful registration! But Merchantrade understands that visitors may still want to have physical currencies on hand during their trips. Hence why they’re also offering money exchanging for physical currencies. With their live money changing counter, you can exchange foreign currencies at the best exchange rates for your overseas trip, making it pretty convenient when you’re browsing around for travel packages too. To further entice visitors, Merchantrade is also offering a special deal for their visitors who perform “buy” transactions through their service. For purchases of currencies above RM12,000 up to RM20,000 equivalent in a single receipt, you can redeem a 20-inch luggage bag for free. Purchase of currencies above RM20,000 will get you a 28-inch luggage bag. The company also has an app called eForex which essentially lets you buy currencies online with great rates and you can then just pick it up at one of their branches. It’s part of their efforts to make it convenient for people to save time instead of queuing up in long lines at money changers. 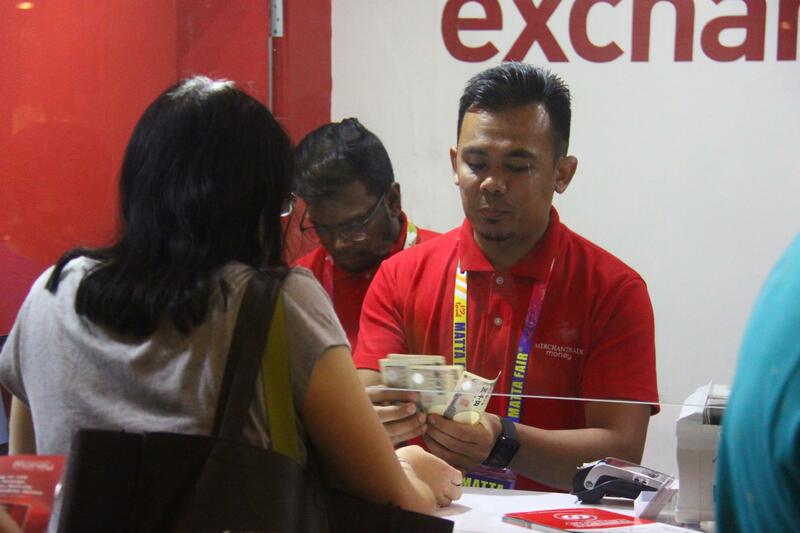 Besides the option to deliver the currencies straight to your office doorstep, you can also pick up your exchanged currencies at their booth during MATTA Fair too. Aside from having the same luggage bag deals as above, those who make purchases above RM10,000 can redeem a RM50 cashback while those who make purchases from RM5,000 to RM10,000, can redeem a RM25 cashback. If you decide to register while you’re at their booth, Merchantrade will also gift you a RM10 cashback and a luggage tag too. These are just some of the exciting deals and offers that Merchantrade has in store at their booth, so if you’d like to find out more, you can check out the official page here. So there’s a lot that you can do aside from getting great deals on those travel plans during this three-day fair. With an expected amount of 110,000 visitors this year, it’s a travel exhibition you should have in your schedule. The MATTA Fair will be held from Sept 7 to 9 at the Putra World Trade Centre and the admission fee is RM4 per person with it being free for children aged below 12. While you’re there, look out for Merchantrade’s booth at Booth F1 to F4, which is outside Hall 3. For more information, you can check out Merchantrade’s official website here. To stay up to date with their latest updates and promotions, you can check out their Facebook page here. This article is written in collaboration with Merchantrade Asia. The post Look Out For This Booth At MATTA Fair 2018 If You Want To Go Cashless When Travelling appeared first on Vulcan Post.